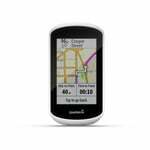 Hi Stanislav, really good on my Edge 520 Problem is with the altitude. It looks like it may be displaying altitude in feet instead of metres? Not sure if this has anything to do with the fact my speed is displayed in mph? Thanks. Cannot make it work on my Edge Explore. 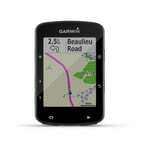 As usual you are left in the darkness by Garmin Support and cannot find how to make it work. Great app. Works perfectly on my edge 520 plus, would be great to replace the top field section "sunrise time" to the temperature. It would be very nice if field climb% has one decimal place. Great app otherwise. I like it very much. Would be great to have more data fields for edge 130. · in the row? Makes Edge 130 crash @ power off. Otherwise very nice! Beautiful Field, I want to ask if you can add this data: power last lap, power lap, % threshold power, FC % Max, power zone, TSS. Was great until last update when the extra field at the top was added - I have no use for Sunrise or Sunset - all it does it clutters the top of my Edge 820 and overlaps fields. Unfortunately many messages to the developer have not been answered or the issue fixed ... disappointing for such a terrific app. Very nice layout and close to ideal. My issue is that I cannot get average speed onto the display. 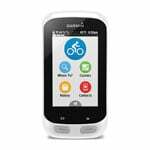 Edge 520. 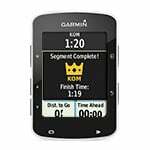 After cursing this, I found out that the reason it would not work on Garmin Edge Explore was that the allowance of 2 Data Screens had been achieved. Event worked when I deleted one. The screen layout is fantastic and so far I have only tested it during a walk but I'm sure it will work during cycling. 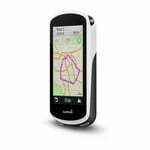 Très bien avec un edge explore 2018, logiciel version 3 , pensez à supprimer l’écran de donnée n°2 pour voir apparaitre MY EDGE, se configure avec les paramètres sur garmin connect. 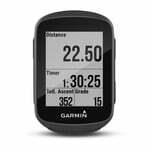 Very well with an edge version 3 explore 2018, software, think of deleting the screen of datum n°2 to see appearing MY EDGE, configures with the parameters on garmin connect. App is not working on my Edge explore 1000. App is not working on my Edge 820. 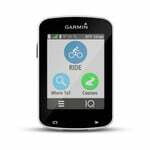 Shows up in Garmin Express as installed on device, but doesn't show up on Edge 820. I don‘t know what‘s going on with the other reviewers‘ devices - runs perfectly fine on my Edge 820. It‘s a great improvement over Charts, especially use of screen real estate and readability (couldn‘t decipher the time on Charts, now the font size is perfect). Thanks to the developer for offering this for free! Please donate him a beer via Paypal!